The first sign was the Tories’ failure to manage the issue agenda. Table 1, below, shows the main issues in mainstream news coverage during the campaign. As is found with most elections, discussion of the electoral process itself was the most prominent aspect in reporting. Main issues discussed in all media. 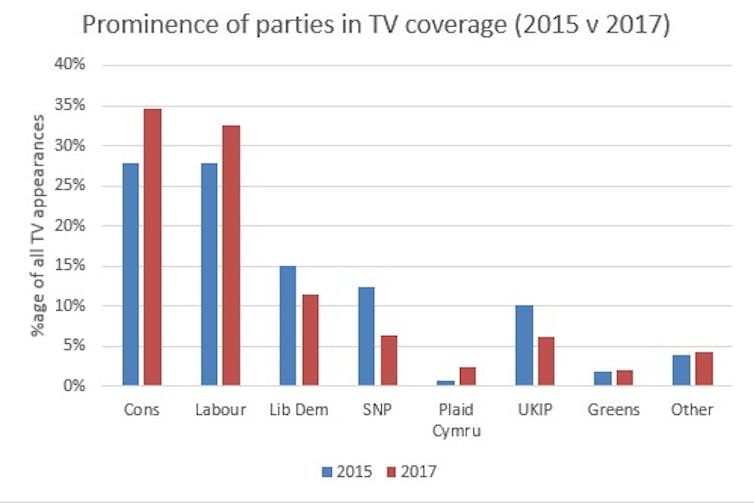 But the amount of “process coverage” in 2017 was far lower than in the 2015 general election, revealing a greater level of engagement with policy content this time round. There were several potential reasons for this. Process coverage thrives on conflict but at least one of the main protagonists was unwilling to play ball. Jeremy Corbyn has long expressed his distaste for PR, spin and the “theatrical abuse” that characterises so much mainstream political discourse. The coverage of process rather than policy can also be stimulated by the prospect of a close contest – but it was widely assumed the 2017 campaign was going to be a one-horse race until some shock late polls suggested otherwise. 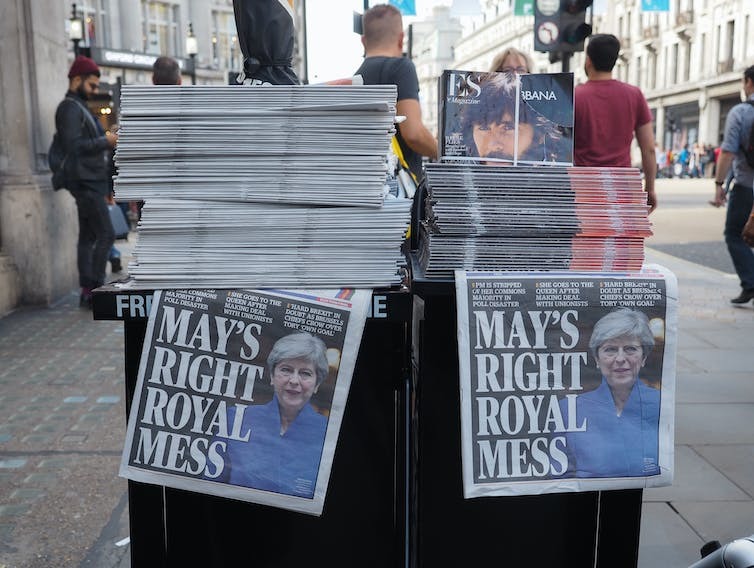 Interestingly, it was two big campaigning blunders, one each on the part of each main party: the leaking of the Labour manifesto and the Conservatives’ U-turn on their social care policy, which also invited greater attention to the detail of manifesto commitments. Whatever the reasons, the increased focus on policy did not fit well with the Conservatives’ preferred campaigning agenda – which was to emphasise Theresa May’s “strong and stable” leadership qualities and to treat the manifestos as a sideshow. By contrast, Corbyn’s team was keen to promote policies over personalities. 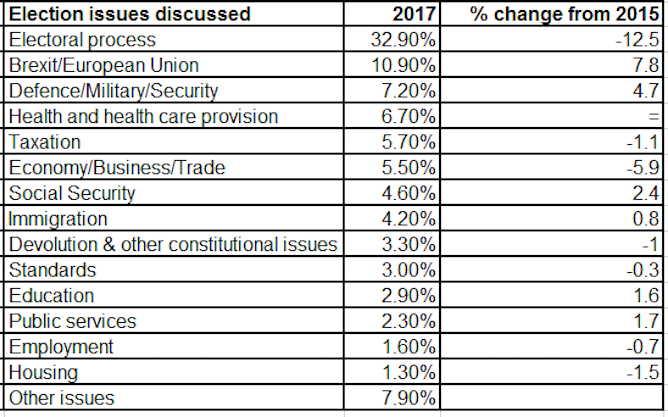 Figure 2: How coverage of issues changed during the campaign. In terms of substantive policy issues, things also worked to the Conservatives’ disadvantage. The party’s strategy was built around foregrounding Brexit. 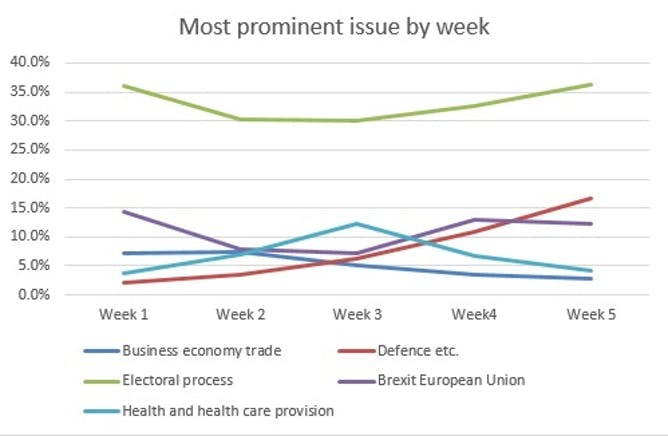 And while the UK’s departure from the EU was the most prominent and substantive issue overall, its presence on the news agenda varied considerably over the five weeks of campaigning. Analysis of coverage shows it dominated for only two of the five weeks of the campaign (as Figure 1 above shows). Across all media, more coverage was given to health and healthcare than the economy and taxation – which fitted more closely with Labour’s preferred agenda than it did with the Conservatives’. Defence and security issues came to the fore in the latter stages of the election – in part because of a debate over Labour’s stance on Trident, but mainly as a consequence of the terrorist attacks in Manchester and London. Ordinarily, defence and security would offer safer ground for the Conservatives politically, but Labour’s attack on Theresa May for cutting police numbers in her previous role as home secretary caused some discomfort to the government. 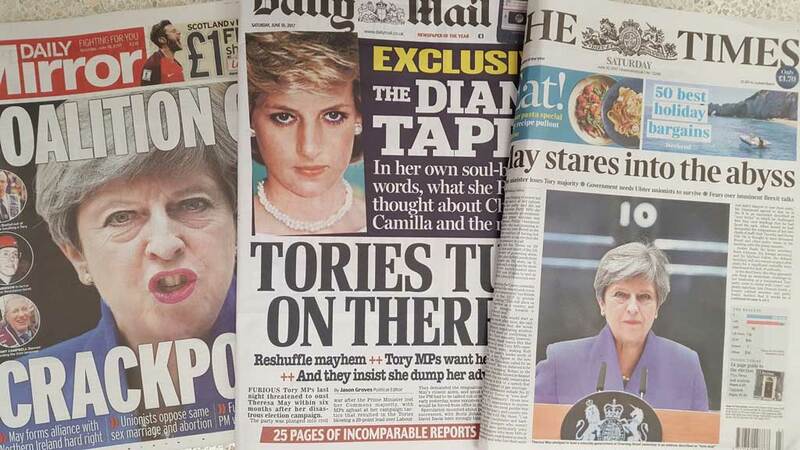 Throughout the campaign, the Conservatives could count on the vociferous support of a Tory press keen to bury Labour’s campaign in ordure. Figure 3: how the papers rated the parties during the campaign. Figure 3, above, compares the cumulative amount of positive to negative party coverage in the national daily newspaper coverage achieved across the five weeks of the campaign. 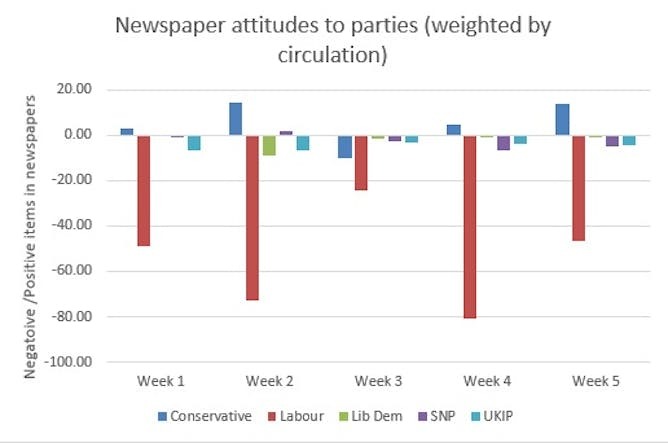 Figure 4, below, weights these figures by circulation and thereby demonstrates the scale of negative coverage of Labour. Figure 4: how the weight of circulation rated parties. However, they also show that this opprobrium was interrupted. Following the Conservatives’ U-turn on their social care policy in week three, aggregate coverage of the Tories became negative. This remained so even when factoring in the high circulation of pro-Conservative titles such as the Daily Mail and The Sun. Figure 5: increasing dominance of the ‘two-party squeeze’. 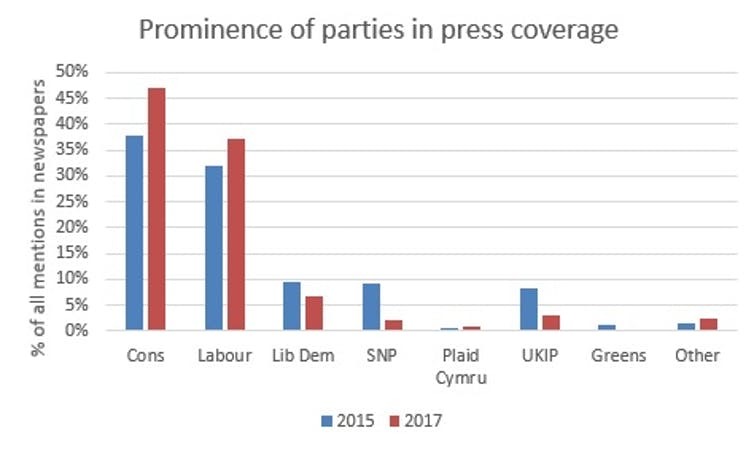 A major difference between the reporting of the 2017 general election compared with 2015 was the “two-party squeeze” in coverage (see figures 4-5). In 2015, 56% of all TV appearances by politicians were by identities from the two main parties. In 2017, this increased to 67%. 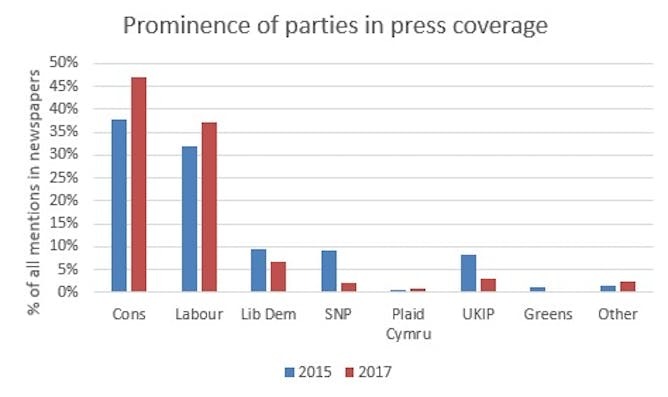 The dominance of the main parties was even more accentuated in terms of press coverage – increasing from 70% in 2015 to 84% in 2017. 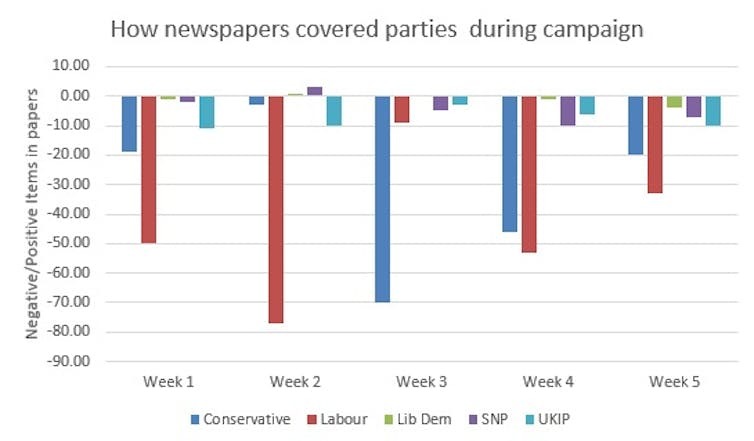 Figure 6: how the press favoured the parties. Moreover, as the campaign progressed, coverage became increasingly “presidentialised” – May and Corbyn’s combined presence broadly increased from 30% in week one to a peak of 39% in week four. 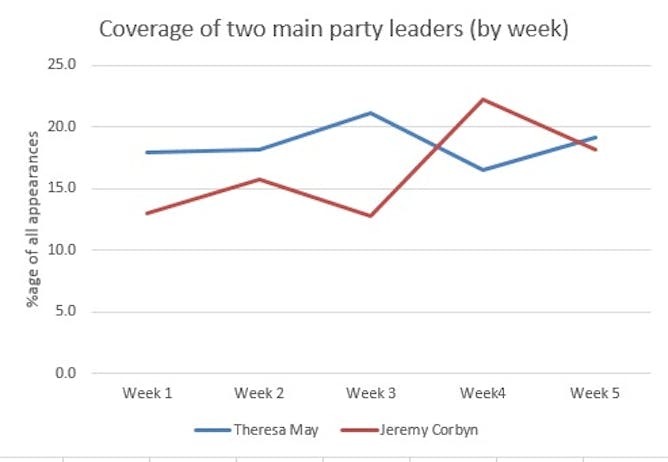 Until the third week, May was more prominent than Corbyn, but in week four, coverage of the Labour leader exceeded that of the prime minister. Figure 7: how May and Corbyn vied for media attention during campaign. In the final week, their media profiles were nearly equivalent, in what was arguably a portent of what was to come in terms of the dramatic conclusion to a remarkable campaign. John Downey, James Stanyer and Dominic Wring from the Centre for Research in Communication and Culture also contributed to the research featured in this article.